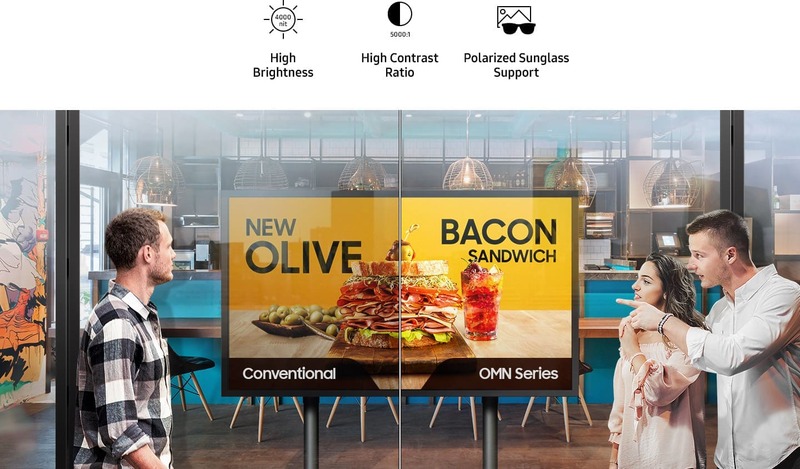 Samsung’s OMN series was designed with a storefront window display in mind. It projects clear, bright images that attract and engage audiences, increasing the probability of an in-store visit. 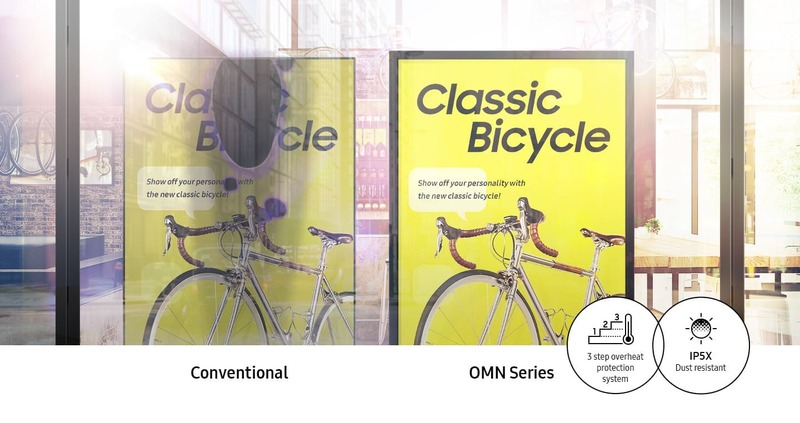 Featuring 4,000nit brightness and a high contrast ratio of 5,000:1, the OMN Series’ display remains bright and clear, delivering an uncompromised picture that will capture the attention of potential customers – even in direct sunlight. The OMN Series delivers an immersive content with a remarkably slim 54.5mm depth. Its compact size makes the display a natural extension of the store, as opposed to an addition that ties up valuable space. * “Conventional” refers to Samsung’s OMD-W series. 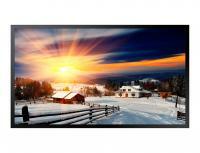 SThe OMN Series’ embedded MagicINFO Player S6, backed by the powerful TIZEN operating system, boosts the display’s overall performance, allowing for easy content management and ensuring seamless content transition and playback. 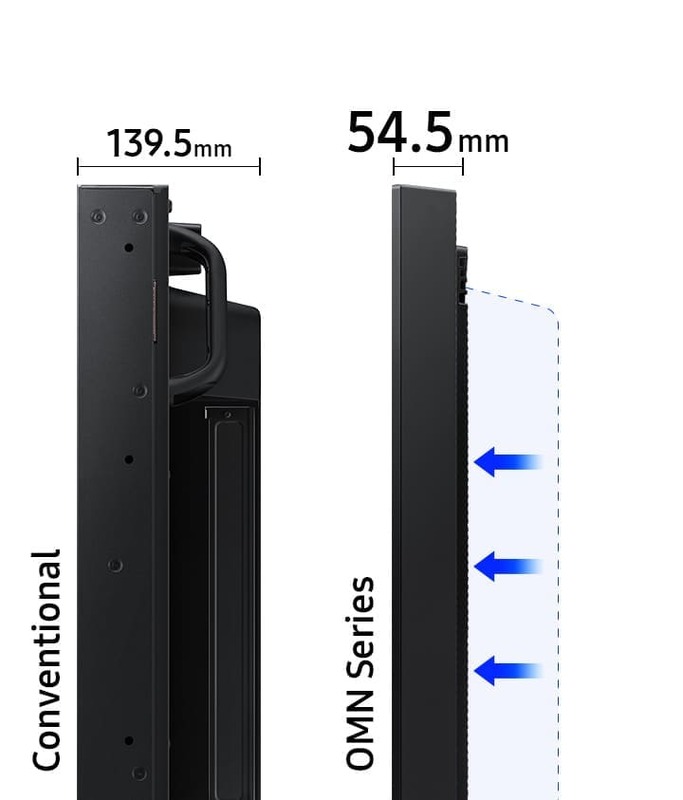 The OMN Series addresses energy efficiency by consuming less power than conventional displays* while delivering a brilliant picture and spectacular performance. 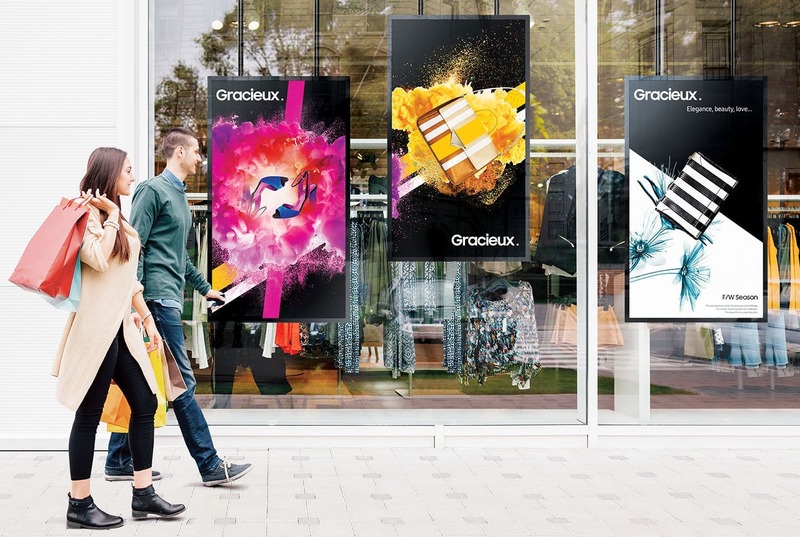 As a result, retailers are equipped with a superior, more engaging display that offers greater control over costs. Cable guide and embedded Wi-Fi provide clean, organized look and allow for content and firmware updates without the need for additional messy cables. Meer informatie Samsung OM46D-W, Outdoor 46 "
Meer informatie Samsung OM46N-D FHD Window Display 46 "
Meer informatie Samsung OH46F Full Outdoor 46 "